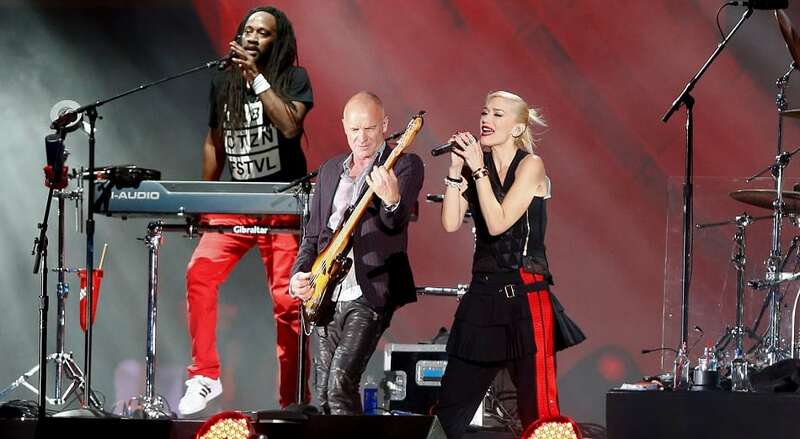 Sting singing with Gwen Stefani in New York City. Gordon Matthew Thomas Sumner, popularly known as Sting, was the frontman for the new wave rock band the Police from 1977 to 1986 and has enjoyed a successful solo career as well since the mid-80s. In 2002 he was inducted into the Songwriters Hall of Fame. In 2003, as a member of the Police, he was inducted into the Rock and Roll Hall of Fame. He has an estimated net worth of $300 million.